PAMP is one of the most prominent names in investment precious metals - their bars are recognised worldwide, particularly for their beautiful designs. 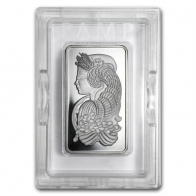 The PAMP platinum bar series is part of the PAMP Fortuna series, which picture an image of Lady Fortuna on the front of the bar. 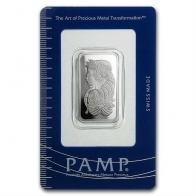 PAMP platinum bars are most popular in 1 Ounce and 10 Ounce sizes, however bars up to 1 KG are available. 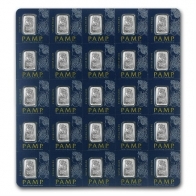 PAMP Fortuna bars are available in gold, silver, platinum, palladium and rhodium. 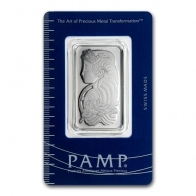 PAMP platinum bars are available for VAT-exempt Swiss storage or for worldwide delivery.